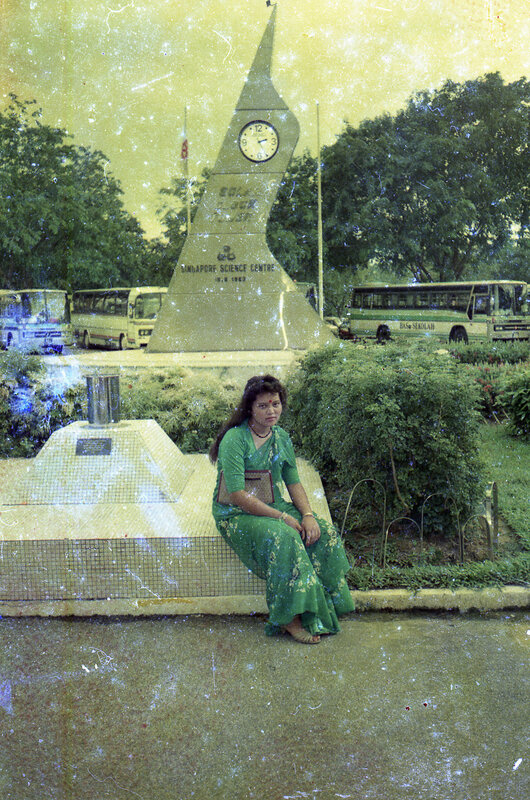 Raj Devi Gurung, wife of Shanta Bahadur Gurung, at the entrance of Singapore Science Centre. Date: Late 1980s. Photo Collection: Shanta Bahadur Gurung / SGPM.